Back in the 1st century, Pliny the Elder was already talking about this mild cheese, however, its making process was described in the 15th century by Pantaleone da Confienza who also praised its quality. The name Robiola comes from the Latin rubeola which means red because of the color of its outer crust after the maturation period. 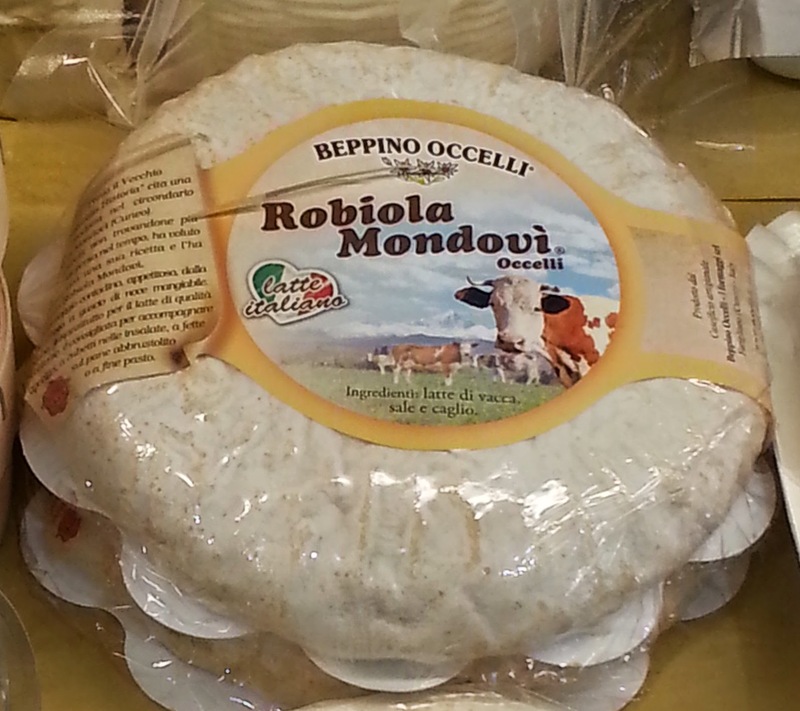 In Piedmont, Robiola is produced in many areas but Robiola di Roccaverano DOP is the most famous one because it is the only Italian cheese that can be made with only whole raw goat milk, or with a mix of 50% goat milk and the remaining proportion either of cow or sheep milk. 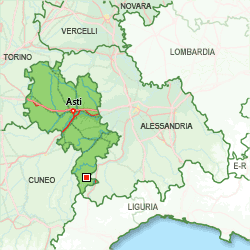 It gained the DOP certification in 1979 to protect the name, the recipe and the making process as it's been traditionally made over the centuries in the municipalities of the Asti, Alessandria and Cuneo provinces. 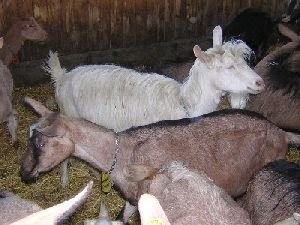 As per Italian law, 50% of the milk must come only from the Roccaverano and Alpine chamoised (camosciata) goats and their mixed breeds can be used. While the other portion of the milk must be produced by the Langhe sheep or the Piedmontese and Alpine dark cows and their mixed breeds! In order to make Robiola di Roccaverano DOP, the milk used must be from the production area of the cheese and it must be used within the first 24 and 48 hours from the milking. Also, by Italian law, at least 80% of the animals' pasture must be local and fresh or preserved as no GMO are allowed. The Roccaverano goat is an endangered species that produces a nice fat milk used to make the Robiola. It's a medium size goat, males can weight up to 75kg/165lb while females up to 55kg/121lb. Their coat can be long or short, white, light brown, black or even spotted. The majority of these goats doesn't have horns and on average they produce slightly less milk than other species but they are more resistant to diseases. 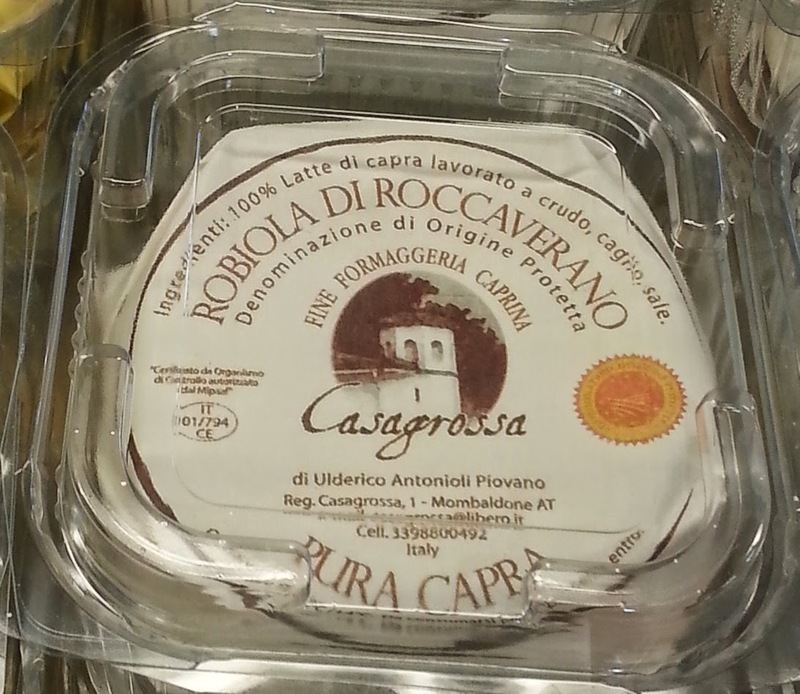 According to its maturation level, Robiola di Roccaverano DOP can be fresh, matured or dry. Normally, in fact, after 3 days of maturation inside the molds, it is ready to be sold. If its maturation process in the molds is extended up to 10 days, then it's considered matured while after 30 days it's dry. The Robiola tangy and hot flavor is enhanced by the maturation length: the longer, the hotter! As with many cheeses, when you buy it, you are advised to eat it within a week and to store unwrapped in its crust or in paper in the warmest area of your fridge at about 4C/39F. 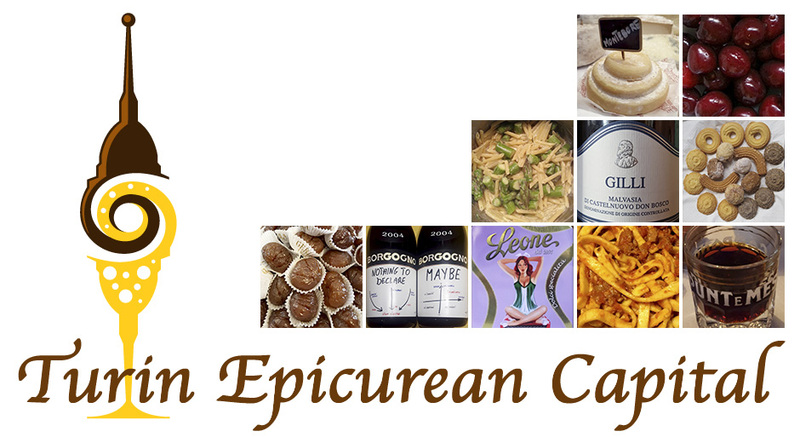 What can we cook with Robiola di Roccaverano DOP?? 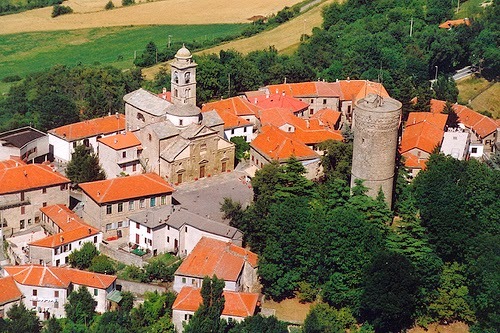 In Piedmont, Robiola is usually eaten on its own with some bread and maybe some honey. As a table cheese can also be served with a dash of EVOO, a pinch of salt and pepper. Its sometimes tangy flavor is given by the herbs of the pastures, so this cheese can certainly be used to cook many local dishes. Besides making panini and spaghetti, there are so many dishes we can make: risotto alla robiola, regular gnocchi AND rabaton or local wild herb gnocchi like Anna Bugane' did. 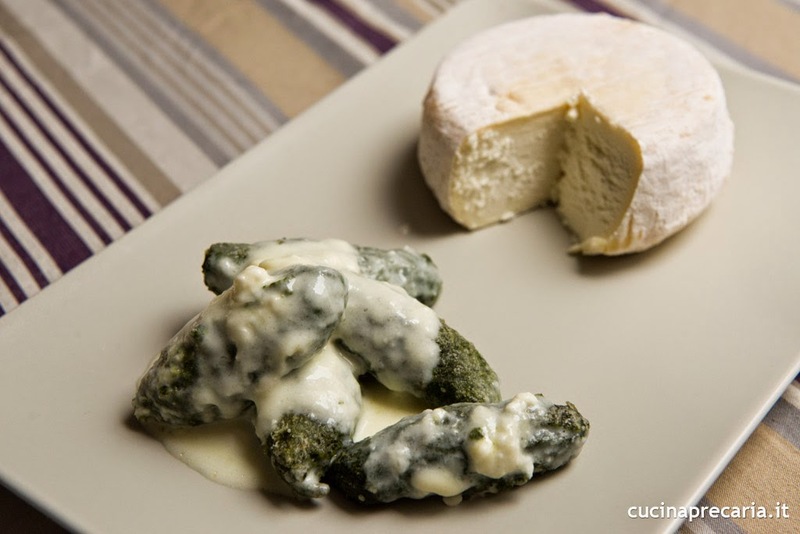 These are traditional wild herb gnocchi made in the Monferrato district, bordering the Langhe area. They are rolled up by hand, usually boiled in stock, topped with Parmesan cheese and grilled in the oven. However, Anna boiled them in water and then simply served them with melted butter, Parmesan cheese and a cream of melted Robiola di Roccaverano DOP! 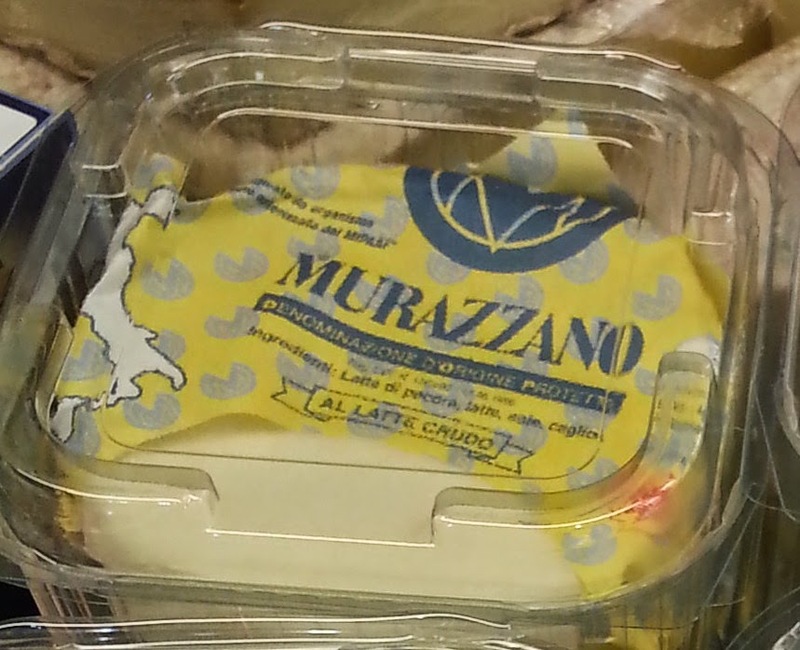 A fairy tale landscape, cute unique goats and a delicious cheese, come over to Piedmont and try it!